The Emile A. Gruppe Gallery, Inc., opened in 2003, exhibits and sells the works of noted landscape artist Emile A. Gruppe. It also promotes New England artists through exhibition and sales. The gallery is located in a renovated 1860s English Sheep barn at the home of Emile’s daughter, Emilie Gruppe Alexander, and her husband Stuart. 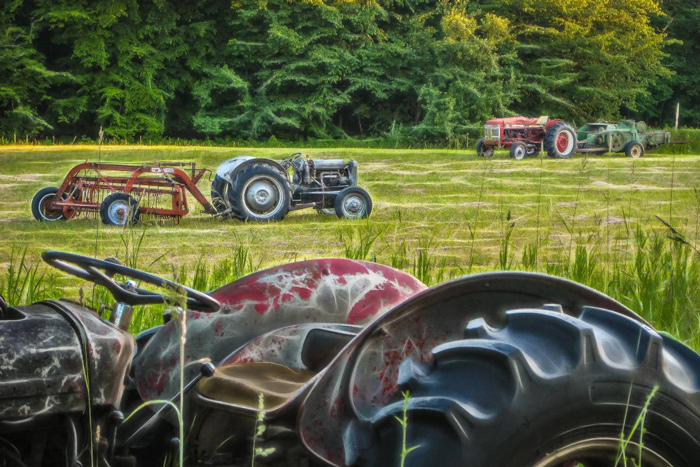 The prelude to Spring in Vermont, known as Mud Season, is welcomed as a harbinger of warming days and cool nights and the setting up of the maple economy. It is also a tease as to what is coming: flowering plants, lots of color, bird songs and warmth. “Beyond Mud Season” offers a jump start on your enjoyment of the upcoming seasons and also offers the opportunity to enjoy these works in your own space. The exhibit features watercolors by Monique Dewyea , textile marbling by Linda and Dean Moran, photography by Luci Wilcox, watercolors by Jericho’s Adrienne Fisher and Montpelier artist Susan Bull Riley, and “painterly” digital photographic images by Roarke Sharlow. Image: Flower Medley by Roarke Sharlow. Courtesy of the artist and Emile A. Gruppe Gallery. John Opulski’s mission is to erase convention from his palette. Classically trained in renowned institutions, he has found his niche in magical realism. Creative use of shadows and light immerse one in the mystery of his work. Strong figures are prominent in many of his paintings. Opulski trained at the Art Students League in New York City, and graduated in the top of his class at the Art Center College of Design. He trained and mentored under other established artists while working for advertising and graphic agencies. Today, his art is found in private collections and gallery spaces in Vermont and in his studio. He offers workshops, classes and private instruction. He has a soft spot for teaching art to children and has collaborated with the Jericho Town Library on several projects. Image: Fishing by Moonlight by John Opulski. Courtesy of the artist and Emile A. Gruppe Gallery. “The Color of Light” is an exhibition of oil paintings by Shoreham artist Joe Bolger. Bolger says, “In my work, the main focus is the light. I paint the shapes of color created by the light, the light key of nature. My path as an artist was positively influenced by the teachings of Emile A. Gruppe, although I was never fortunate enough to meet him.” Bolger’s description of Gruppe’s work, that “they express the beauty of New England with a simplicity of design, natural light, bold color, and expressive brushwork”, can definitely be applied to his own work. Bolger has a strong palette and his own voice in expressing the beauty of the world around him. 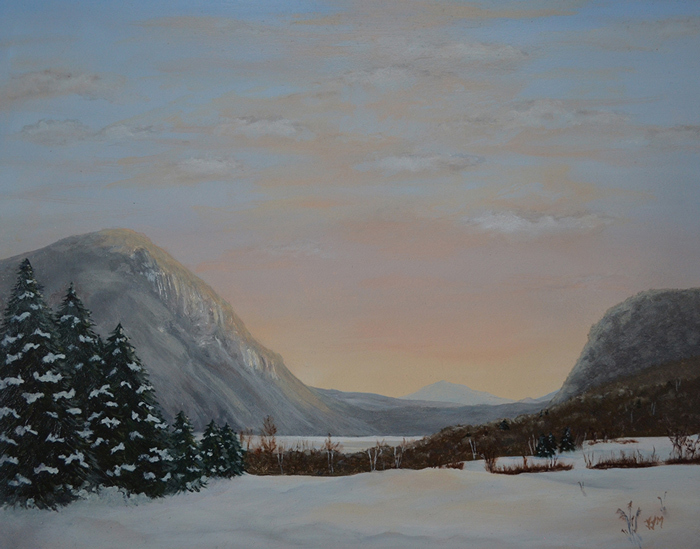 “Luminous Landscapes of Vermont” presents paintings by Julie J. McGowan and photographs by Mary Claire Carroll. Both artists are from Richmond. The exhibit is founded on a representational view of Vermont’s landscapes, bringing together scenes from a naturalistic photographer and a disciple of the Hudson River School and luminism*, using the 19th century palette and techniques to create a vision of Vermont. Julie McGowan’s artist talk, “The Hudson River School and Me”, is on Sunday, June 24, 1-2:30PM. McGowan will discuss the primary painters of the Hudson River School in a slide presentation and conclude with a discussion of the techniques that define these paintings. *Luminism is an American landscape painting style of the 1850s-1870s, characterized by effects of light in landscapes, through using aerial perspective, and concealing visible brushstrokes. 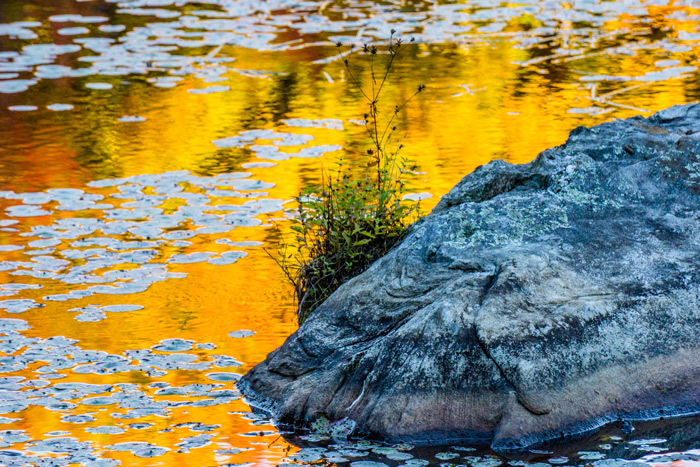 Luminist landscapes emphasize tranquility, and often depict calm, reflective water and a soft, hazy sky techniques to create a vision of Vermont. Wunder and Vogelsang refer to their work as photo-art, “a drifting away from capturing and presenting subjects as close to the reality as possible. It is more about an artistic vision.” Today’s cameras and post-processing techniques enable the photographer to augment the way a photo looks by adding one’s own emotion and thought process to what was actually seen. 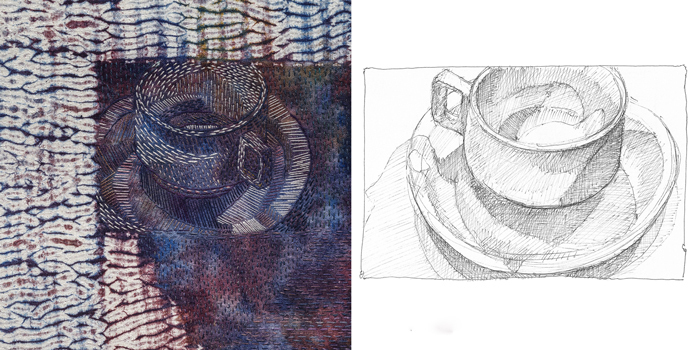 Three years ago, in order to revive my drawing skills, I began sketching common household items and table-scapes daily. Concurrently, my textile work became increasingly more reliant on organizing space and manipulating the elements within it through pattern via Shibori-dyeing, color, and intensive fields of surface stitches. It was a natural progression to look for ways to create overlap between these two separate areas of practice, such that they could challenge and complement each other. I am interested in investigating image and surface, separately and together, celebrating each for the qualities they contribute to elevate the other. The resulting pieces pay homage to the “every day”, observing that quiet moments in life merit as much notice as those that are outwardly more momentous. 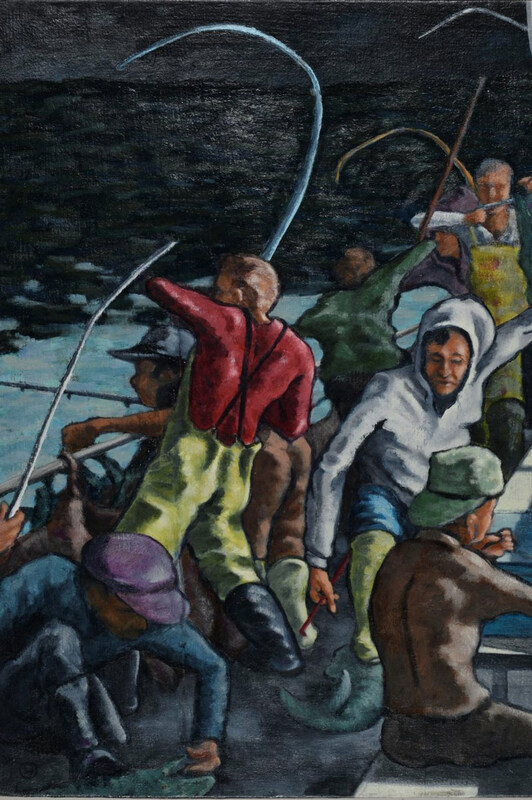 Born and raised on the coast of Maine, Elizabeth Fram received a BA with honors in Art from Middlebury College, later studying graphic design at the (now) Maine College of Art. She has worked as a graphic designer and as a freelance illustrator, concentrating her studio practice on art textiles for the past 20+ years. Fram’s work has appeared and been written about in various publications, including Ellen Bakker’s 2014 book TextileArt around the world and most recently in the Stampington publication Art Quilting Studio, Winter 2018. She exhibits nationally and is an Art in Embassies artist, with work currently on view at the US Embassy in Riga, Latvia. She is a juried artist member of Studio Art Quilt Associates, a member of the Surface Design Association, and lives in Waterbury Center with her husband and their pooch, Quinn. 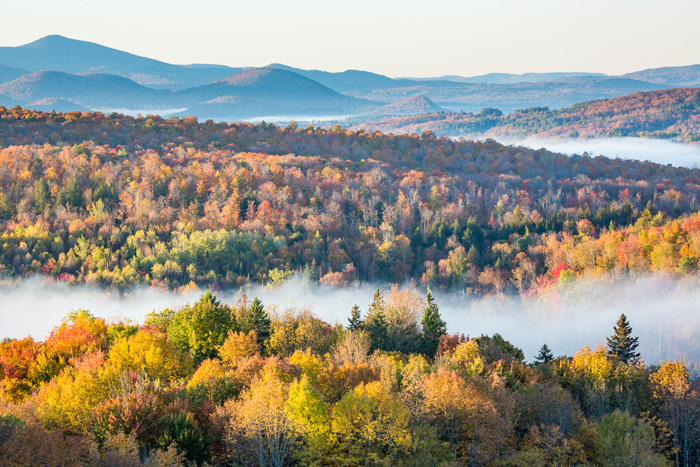 Many of us who live in Vermont love being close to the natural world–mountains, rivers, woods and rocks. Nature inspires us as people and as artists. In all kinds of weather, through all the seasons, we are sustained by the landscape of this amazing Green Mountain state. “What Did the Rock Say?” is a project that Dianne Shullenberger envisioned as a way to encourage young artists to be as inspired by the great out-of-doors as she is–by taking them on hikes to some of her favorite places. She realized that many of these hikes led her to rocks where, like muses, they had a good deal to say. When she shared the idea with her friends John Snell, also an avid hiker and a photographer, and poet Zoe Fowler, they quickly saw the power of the idea and hiked together several times to hear what these rocks had to say. 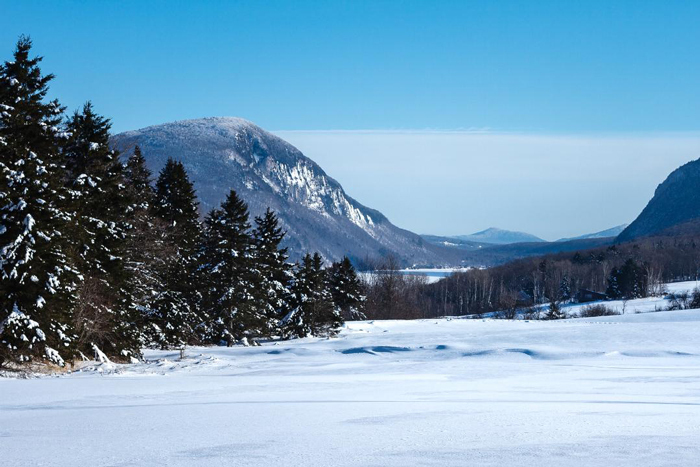 Part of the magic of living in Vermont is to be among and around rocks–from the bare bedrock top of Camel’s Hump, to the riverbeds shaped by boulders the size of cars; from the granite quarries to the ancient stone fences now wandering through second-growth forests. We drive through magnificent road cuts and jump from rock ledges into cool summer waters. Rocks are part of our lives every day. They speak to us everyday when we listen. What did the rocks say? They told us to get the young artists and writers outside, hiking, seeing, exploring, laughing and being inspired! Next, we heard we should guide them so they find their own ways of seeing and listening, and then to find their voices so we can all better hear what they hear the rocks saying. And then, importantly, we need to find ways for these young artists to share what to rocks have said to them because the art they’ve learned about truly exists only when it is shared. Not every hike leads to the top of the mountain, so to speak. And due to several unforeseen events our plans for “What Did the Rock Say?” fell short of our dreams when the reality of taking a dozen hikes with students throughout the year ended up being a single hike. But that one hike was an inspiration to us—these kids are amazing–and it was also a validation of the basic premise of the project: get these kids outside and they are not only inspired, but also inspiring! We learned enough that we now are revising plans to try again, and this show is the next step up that hill to listen to what the rocks are saying. Artists Harald Aksdal, Anne Standish and Gil Myers use fiber, watercolor, and ink on two-dimensional surfaces to capture representational images of real objects, places and things. Anne Standish (image above: Emulation and Translation) is an emerging fiber artist. 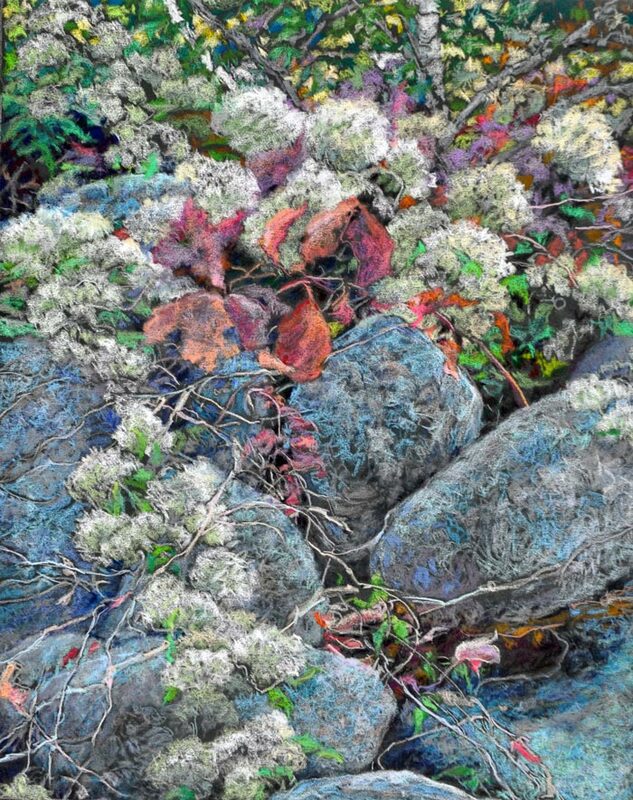 Her inspiration for her quilted art work comes from the natural world. Harald Aksdal’s (image top: Sisters) architectural background provides an eye for detail in the everyday world, but his interpretation creates beauty from unlikely subjects. 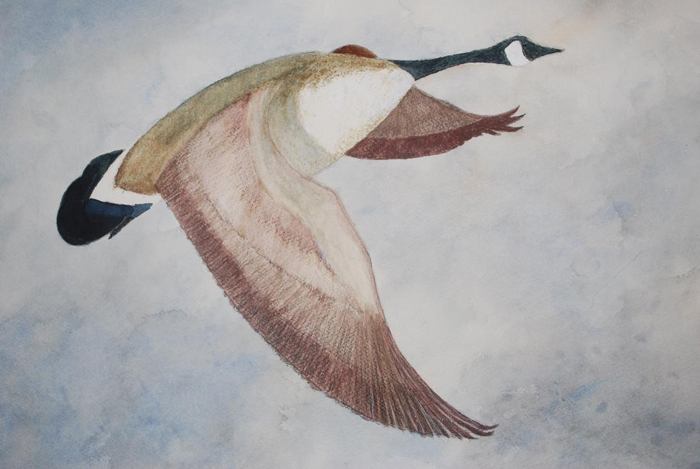 Gil Myers (image below: Goose) has been painting in watercolors for over 50 years and still discovers something new as he interprets the landscape. Waters says, “My technique is rooted in a love of Impressionism and its exploration of color and light, with a strong leaning towards realism.” His inspiration is the outdoor world. 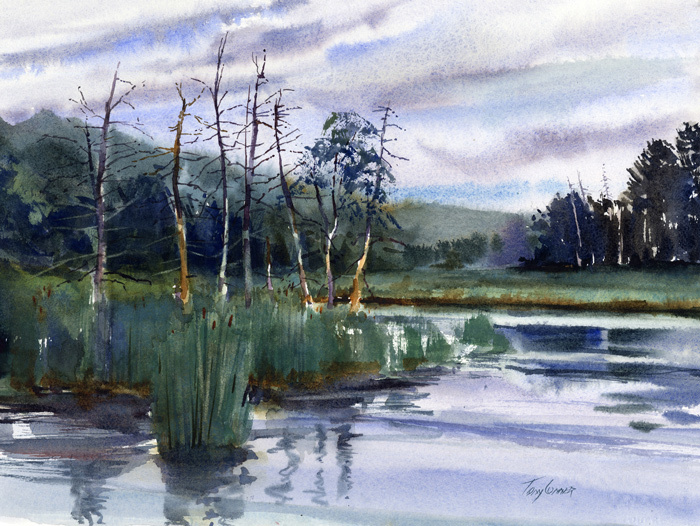 Most of watercolor artist Tony Conner’s work is focused on the quality of light itself and is drawn from direct observation. 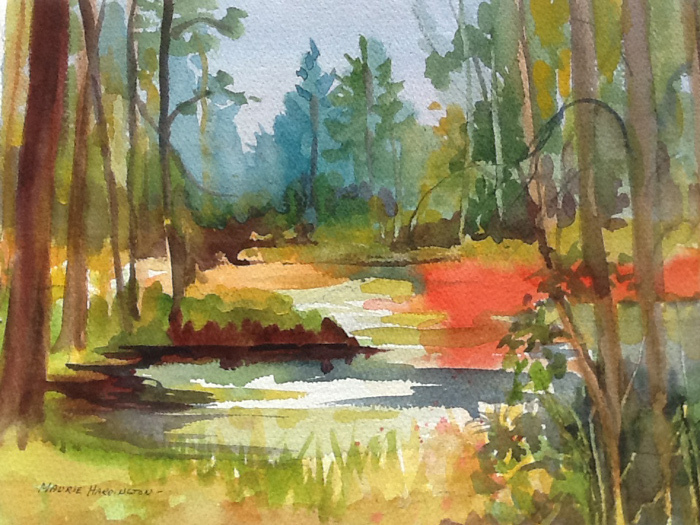 About Underhill Swamp (above), Conner said, “This painting was done during the Jericho Plein Air Festival on July 16, 2016. The morning was quite overcast so there was little in the way of light and shadow to work with. On overcast days, I often look for water, since the reflections of the sky help light up the painting. “Beyond the swamp water, there were a couple of other things that attracted me to this scene. There was a great sense of distance and the ‘aerial perspective’ would challenge my ability to mix the variety of greens needed to express the distance and keep the painting from being to monotonously green. The forlorn tree, desperately hanging on to its foliage in the midst of a group of already dead ones, also made the scene compelling. Tony Conner lives, works and teaches in Bennington. 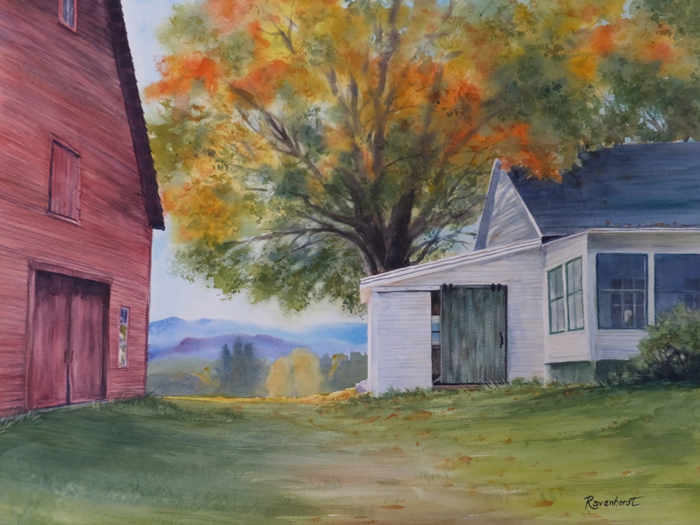 “Duo Exhibit of Vermont Watercolors” by Vermont artists Amanda Amend and Susan Bull Riley runs through Open Studio Weekend, May 27 and 28. Susan Bull Riley’s primary muse is Vermont’s natural world (image above). The work reflects her “love of botanical watercolor, my bottomless affection for birds, and a need to release via art, the intensity of my affection for the landscapes of my native state.” She has collaborated with a number of institutions that seek to protect the natural world such as The New York Museum, The National Science Foundation, The Vermont Community Foundation, the American Chestnut Foundation, Cornell Laboratory of Ornithology, and many local land trusts. She also has several paintings hanging in the Vermont State House. 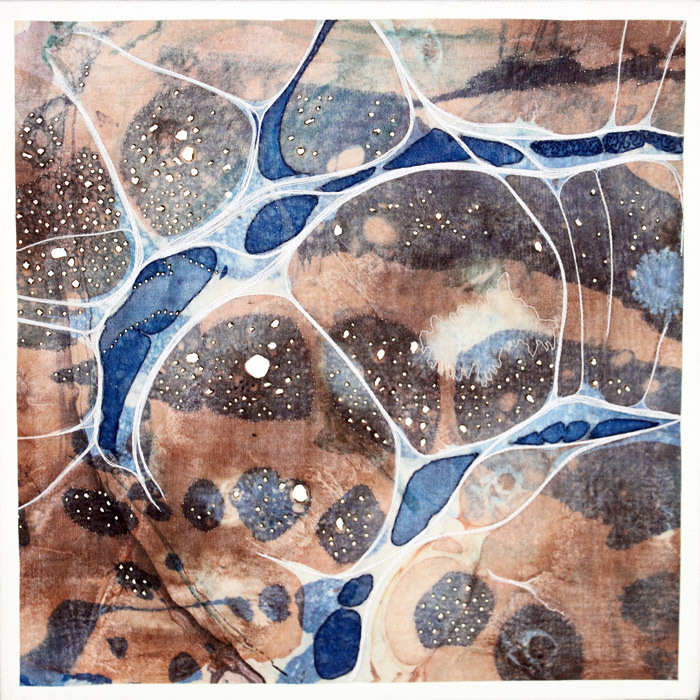 Amanda Amend (image above) calls her paintings “contemplations”: “contemplations on the textures, colors, forms and sensory experiences of the world around me and on the thoughts that they inspire.” She is a master at “lost and found edges”, the exploration of the blending of edges between image and reflection. She says, ”Watercolor is the perfect medium to explore the morphing of form”. 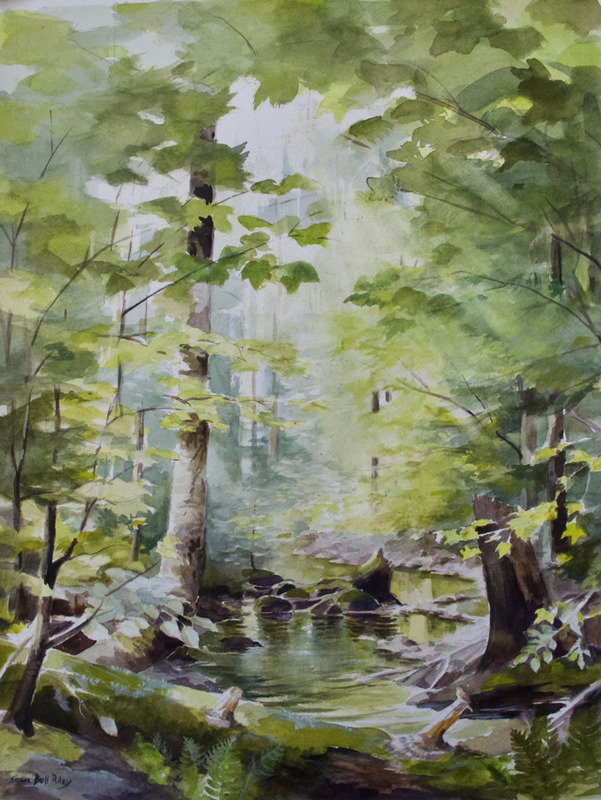 Amanda has participated in exhibitions around the state, is a signature member of the Vermont Watercolor Society and was recently featured in the Vermont Arts Council Spotlight Gallery in 2016. “Group of Three” features the plein air oil paintings of Barbara Greene and Susan Larkin and the watercolor paintings of Maurie Harrington. 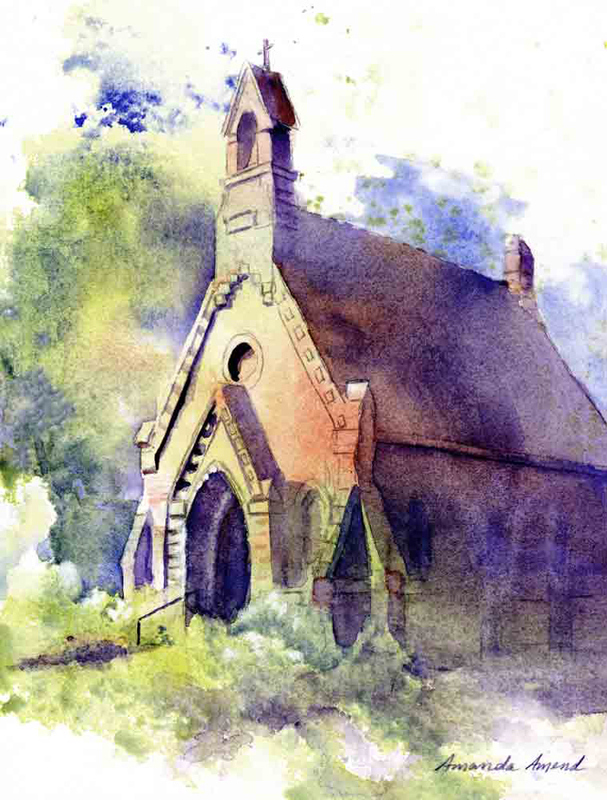 The group often paints together out of doors, each interpreting the same landscape in their style. 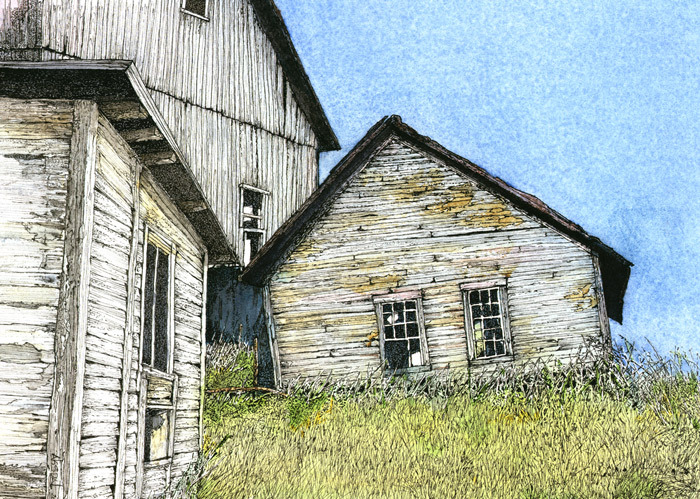 Kathrena Ravenhorst-Adams is a fine artist residing in Northfield. 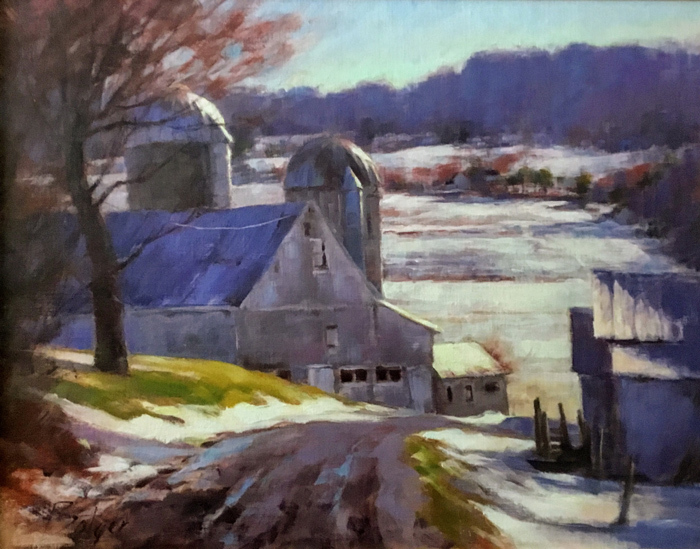 She received her BA from Mary Baldwin College, and later studied watercolor under the late Mitsue Elston in Aberdeen, Maryland, and was an active member of the Harford Artists Association. 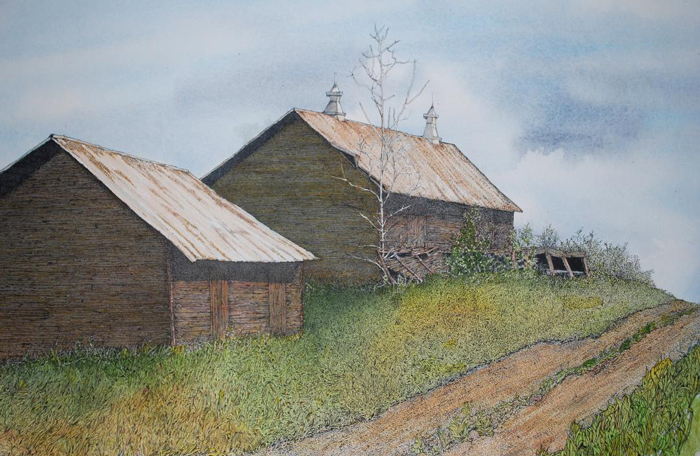 After moving to Vermont, she earned a Master of Arts in Art and Natural History through The Graduate Program at Vermont College of Norwich University, during this time spending many hours wandering the fields and woods, painting and drawing from nature, teaching classes in watercolor painting, nature drawing, pen and ink sketching and exhibiting in various shows.